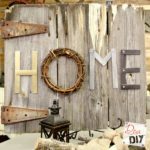 Picture this scenario – It’s early December and all of my Christmas shopping and handmade gifts are finished. The kids are gone for the day, so I decide to get all of the wrapping done so no one peeks at their presents. I pull out my gift wrap organizer (which holds my wrapping paper, tissue, bows, tags, scissors, a pen and tape) and sit down with everything I need to wrap my presents. Does that not sound like a dream? No more getting up and down because I forgot something. No more looking for my scissors and tape, and no more looking for a pen. Does this sound familiar? 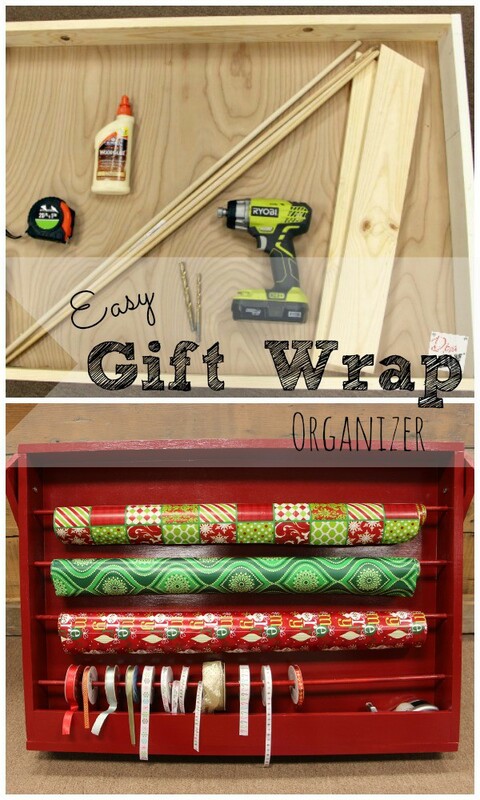 This easy gift wrap organizer takes all of the stress out of wrapping those gifts and just like the name describes, it’s super easy to make. Stay with me…I promise this will all make sense soon enough. 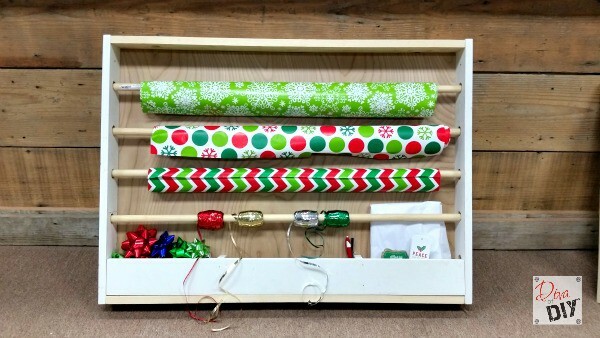 I actually made 2 of these gift wrap organizers: One with the plywood on the outside of the trim (option A) and one with the plywood on the inside of the trim (option B). Step 1) Grab one of the short trim boards and one of the long boards. 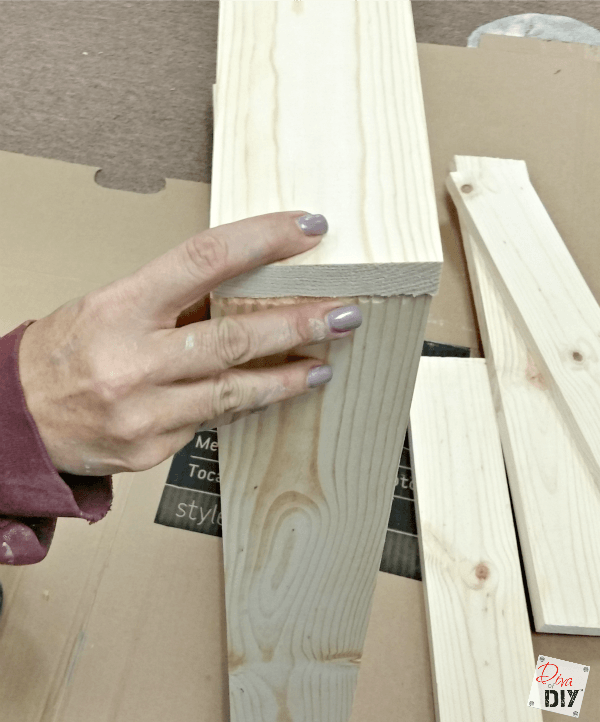 Apply a small amount of wood glue to one of the boards. Step 2) Set the other board on top of the glue. 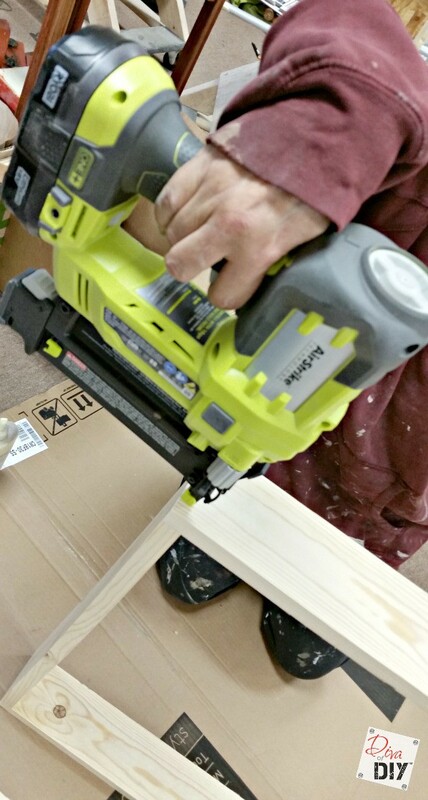 Step 3) Attach the 2 boards using your air nailer . Step 4) Repeat with the other 2 trim boards and you will have a box. 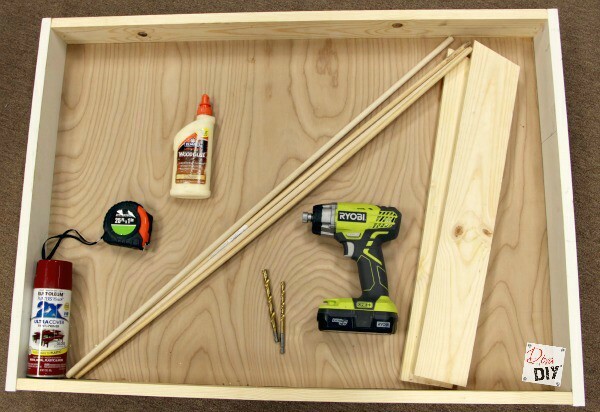 Step 5) Apply wood glue to the outside edge of your box. 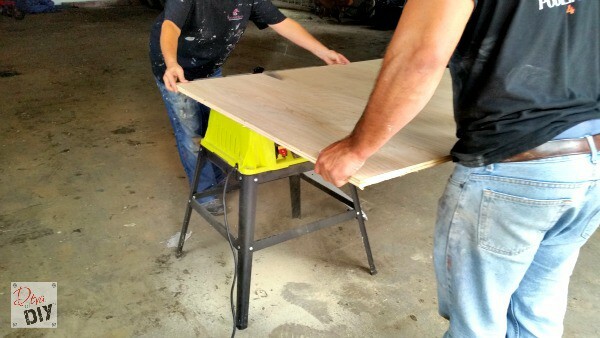 Step 6) Using your table saw, rip your plywood into a 25.5″ section. Continue by cutting it the other way to 37.5″. (Remember you can always have Home Depot cut this for you). 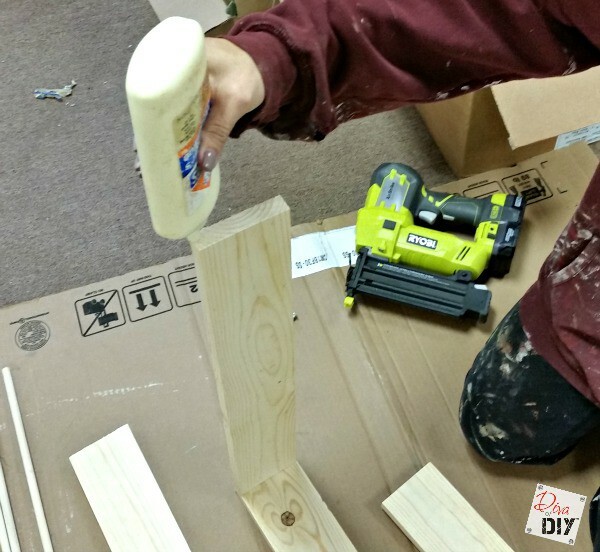 Step 6) Lay your cut piece of plywood on top of the glue. Then secure it with an air nailer. This is what the box looks like when finished. 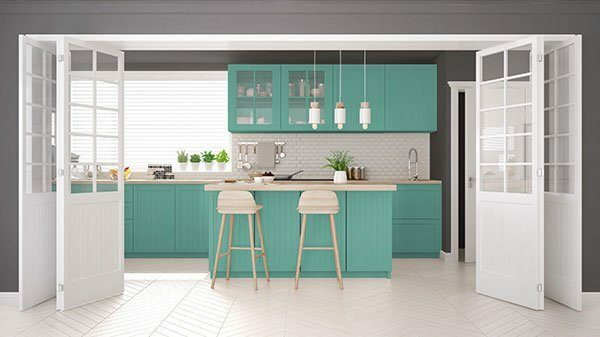 If you opt to place the plywood on the inside of the trim (option B), you would cut your plywood first and then glue and air nail the trim all the way around the wood. You’re probably asking why offer 2 options? I am super glad you did. You know I always shoot it to you straight. 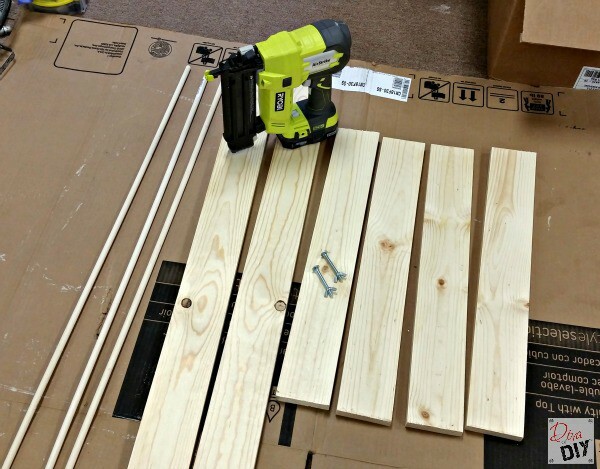 Bottom line…I mis-measured the first time and cut my trim boards too short. Because of that, I had to adjust the size of my plywood and place it on the outside of the trim. 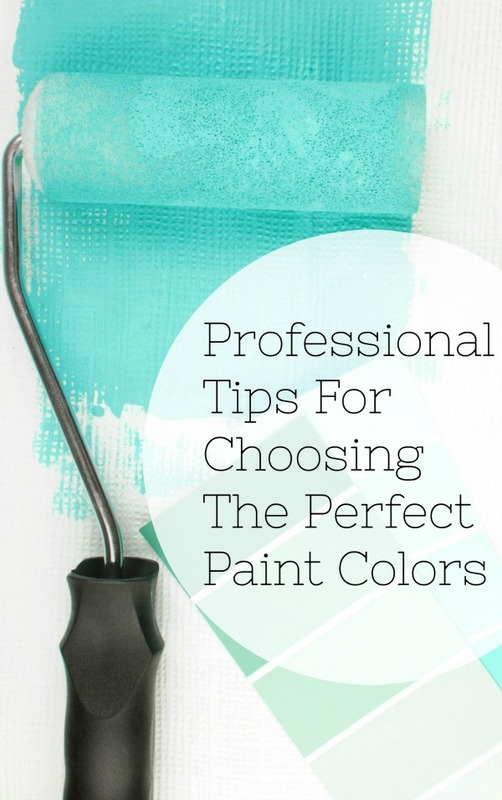 They will essentially look the same, so choose whichever way makes more sense to you. 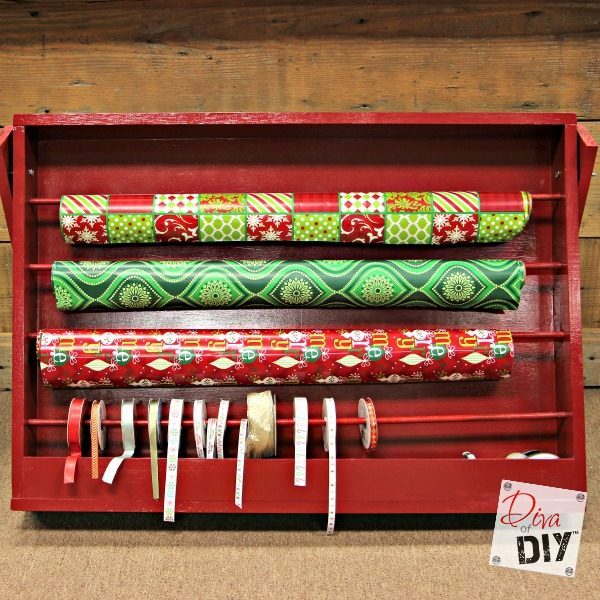 Okay, we only have a few more steps left to finish this easy gift wrap organizer. 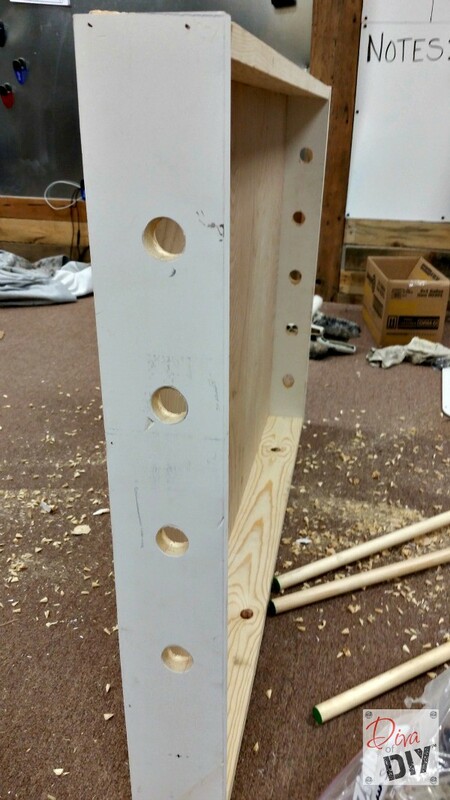 Step 7) I used a 1″ Forstner bit to drill these holes. These are super easy to use. Simply place a mark where you want your hole. Place the bit in the center of your mark and drill away and then repeat on other side. 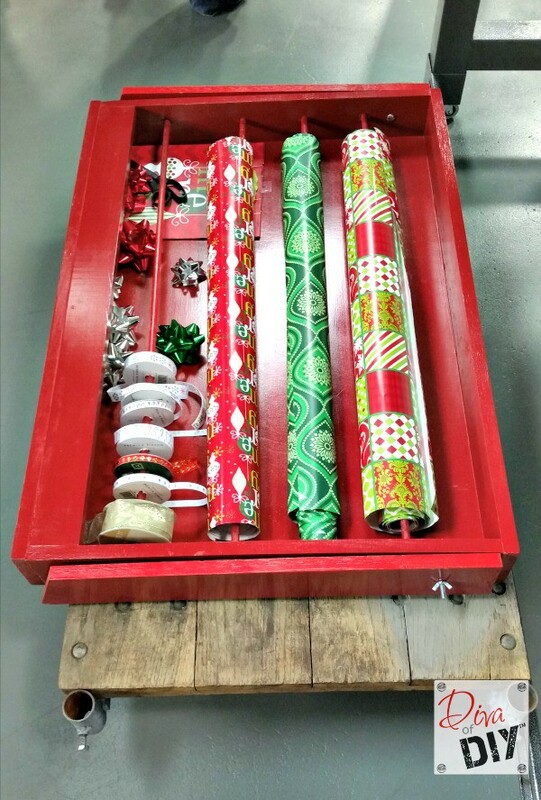 Step 8) Add another 1″ x 4″ trim board across the bottom to hold your wrapping accessories. 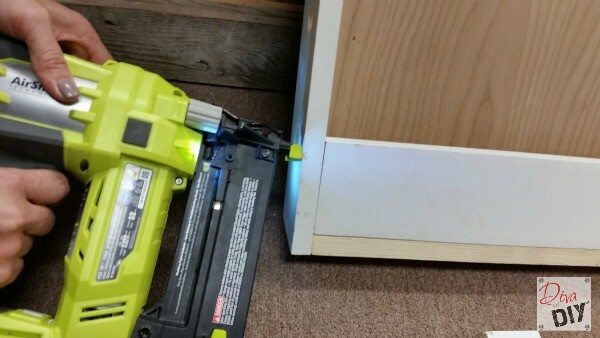 Attach with air nailer. Step 9) If desired, add a couple of extra dividers with your scrap trim. 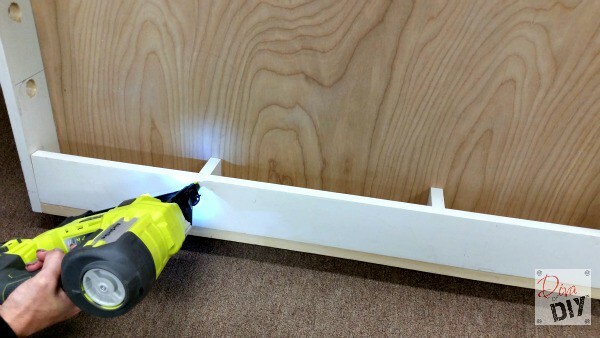 Step 10) Attach cabinet knobs to dowel using hanger bolts . 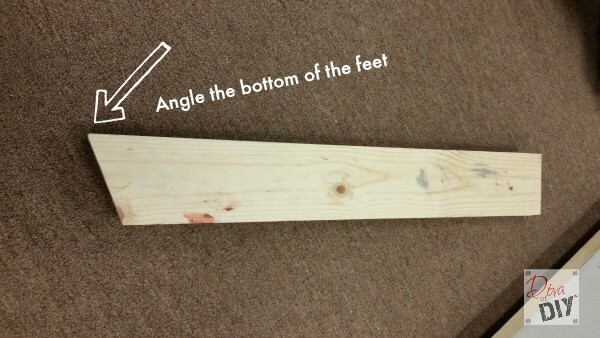 Drill a pilot hole in your dowel. 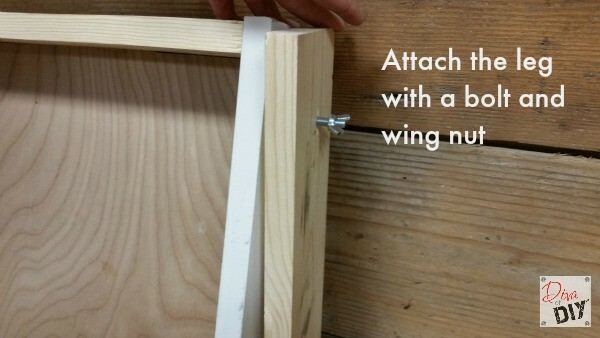 Thread the machine screw side into cabinet knob and the wood screw side into dowel. 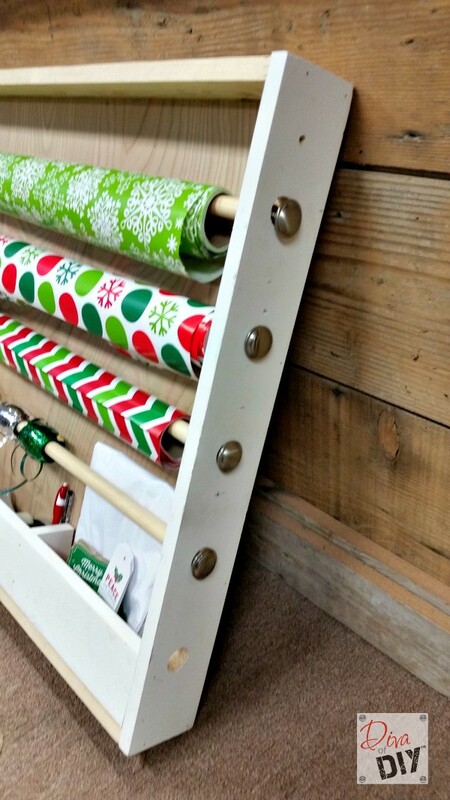 Step 11) Slide dowel through wrapping paper and then attach the other cabinet knob. Step 8) Cut a 45 degree angle on the bottom of your other 2 short boards. 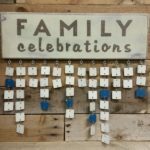 These will serve as the legs to keep your gift wrap organizer upright. Step 10) At this point you can spray paint all of your pieces. 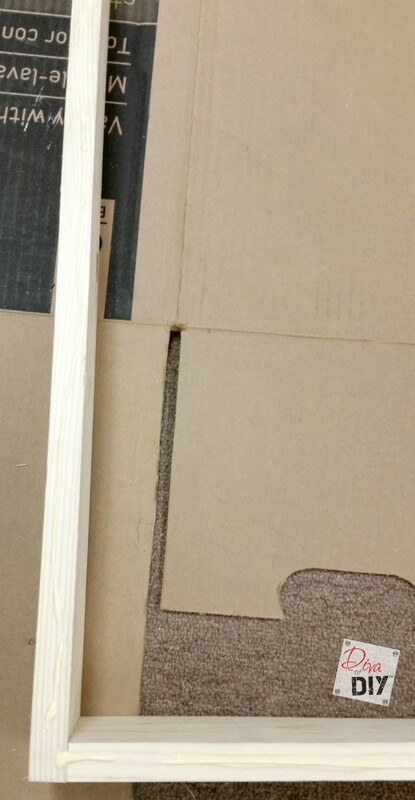 <Completely Optional> This includes the box, the dowel rods, and the legs. Let dry. 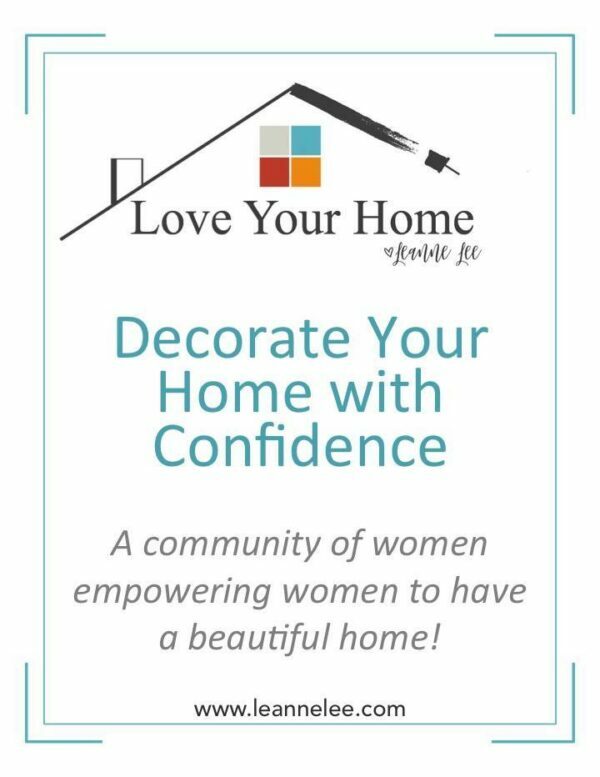 The best part of all is that it lays down flat to store under a bed or…you can hang it on a wall to keep it out of the way when it’s not being used. 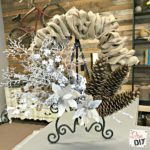 Make the perfect Burlap Wreath the easy way! Love this! Now I just need a bigger house so I can have a craft room to put this in! Great share! Thanks! 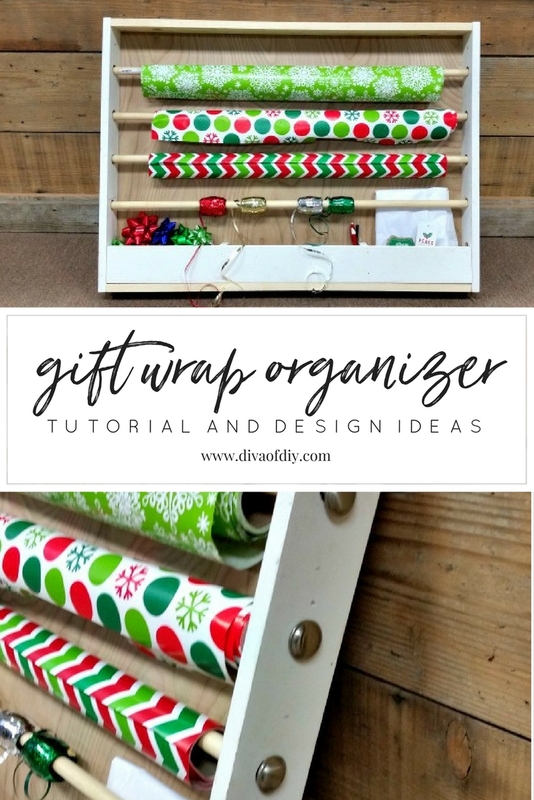 Good luck on getting that future craft room but in the mean time you can still have a gift wrap organizer and it can use slide under your bed! Under my bed? Not a lick of space left - hence needing a bigger house! Plus I have 3 dogs and 6 cats and 3 visiting dogs - every day. Not to worry! I have decided to make one as a gift for a friend that does have space - they will love it! Thanks again!